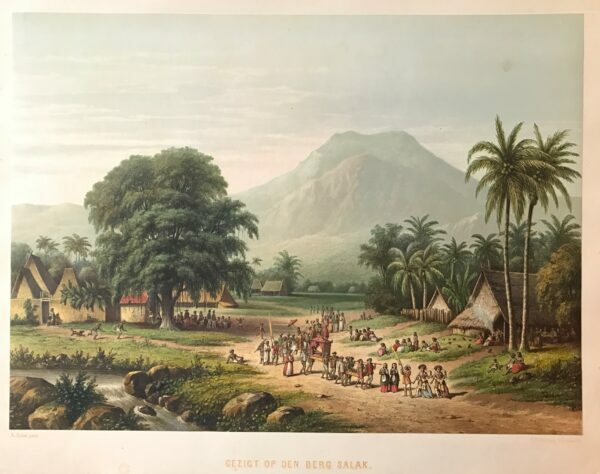 Antique print titled ‘Gezicht op den Berg Salak’. 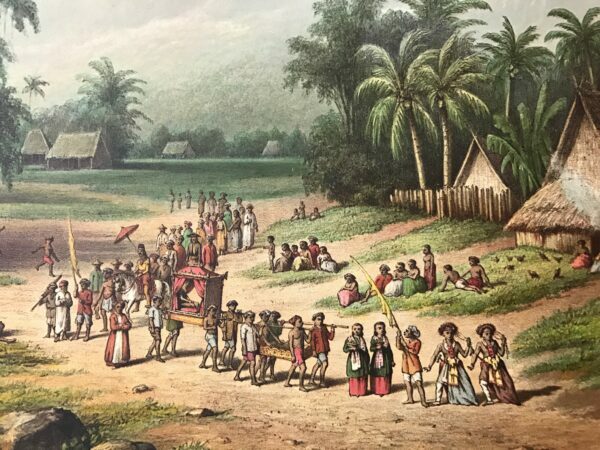 Extremely rare chromolithograph of a wedding procession in the valley of the Salak, after an oil painting by Abraham Salm, a Dutch painter who lived and worked in Indonesia for twenty-nine years. SALM, Abraham ( Amsterdam 1801 ~ Amsterdam 1876 ) was born in Amsterdam on 29 October 1801, he lived and worked there until 1837 when he went to Indonesia. He established himself first as a merchant in Surabaya, but afterwards became the owner of a tobacco plantation in Malang. He did little actual painting in Indonesia but worked up his drawings into oils in the Netherlands. His paintings of Indonesian views are all at the Colonial Exhibition Amsterdam in 1883. This plate of Salak was published in De Indische Archipel by C.W. 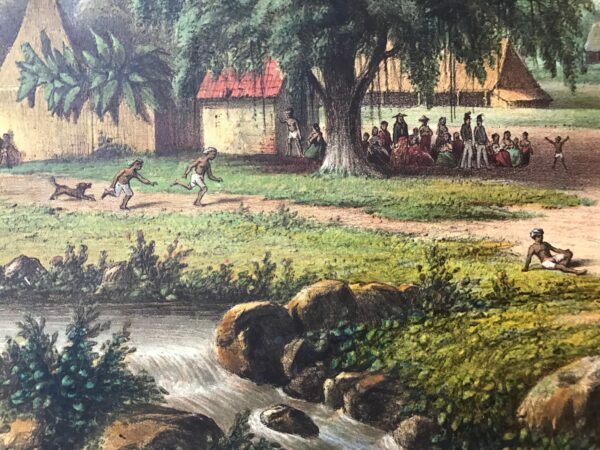 Mieling between 1865 and 1876, and is one of the most rarest chromolithographs on Java on the market today.